The result is a functional car which maximises value for money - this being a crucial concept in the Fiat functional family - packed with what customers genuinely appreciate, with a simple range and a transparent commercial offer. Clearly, FCA is assigning a primary role to this model characterised by excellent interior liveability and load capacity, a comprehensive range and a distinctive style to consolidate its presence across the EMEA region. Good-looking and functional, Fiat Tipo combines a large load capacity (520 litres) with compact overall dimensions (it is 4.54 metres long, 1.79 metres wide and 1.49 metres high). The 2.64 metre wheelbase emphasises its excellent internal comfort. All this is enhanced by Italian design, inside and out, which makes the car unique in its segment. Everyone can find the right Fiat Tipo for their needs and inclinations. In the EMEA region, the line-up will include three trim levels, four engine versions (the 1.4 16v Fire 95 HP and the 1.6 1.6v E.torQ 110 HP petrol engines and the 1.3 MultiJet II 95 HP and 1.6 MultiJet II 120 HP turbo diesels), two transmissions (five- or six-speed manual or six-speed automatic, the latter on 1.6 E.torQ only), a palette of various body colours (pastel and metallised), two alloy rim patterns (16" and 17") and four different interior configurations. The new car fits a reliable suspension layout for very accurate driving, brilliant road-holding and outstanding passenger comfort: independent wheels McPherson type on the front axle and interconnected wheels torque beam on the rear. The two layouts are optimised to reduce weight and contribute in this way to improving the car's fuel-efficiency. In the true Fiat style, the new Tipo is packed with a plenty of clever solutions that make life better for everyone on-board. Like the splendid standard features and the availability of the Uconnect TM system with a 5" colour touchscreen, hands-free Bluetooth system, audio streaming, text reader and voice recognition, AUX and USB ports with iPod integration, controls on the steering wheel and, on demand, a rear parking camera and the new TomTom 3D Touch navigation system. Designed to tackle future challenges, the new Fiat Tipo was designed in Italy by Centro Stile Fiat, developed in Turkey together with Tofaş R&D, which is one of FCA's largest research and development centres, and made in the Tofaş plant in Bursa - one of the world's best automotive factories which has received a World Class Manufacturing Gold Medal. The full press kit is available at "Text" link. Fiat’s, or rather Abarth’s new Limited Edition 695 Biposto Record packs a mighty punch for its size, but at a cost that might leave you feeling like someone just punched you in the stomach. 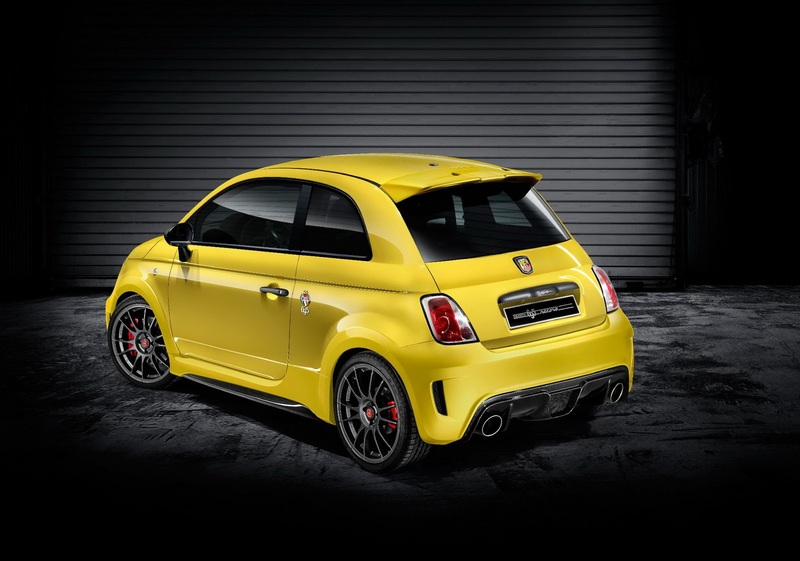 Announced on Tuesday for the UK market, the special edition Abarth model that’s based on the Fiat 500 city car comes with a 190hp 1.4-liter turbocharged four and plenty of styling and performance upgrades at a pretty hefty cost, as it’s priced at £36,610 OTR (equal to $55,700 or €52,300). But those are UK prices, some of you will say, and to you, we reply that the BMW M135i Hatch and M235i Coupe start from £31,860 and £35,075 respectively, while the new 350PS Ford Focus RS and 310PS Honda Civic Type R both start from £29,995. Nevertheless, this is a very special limited production model aimed at enthusiasts who want the fastest production city car or as the Italians put it, the ‘world’s smallest supercar’. Only 133 examples will be made for worldwide distribution with just a portion of those cars coming to the UK, so we imagine that Fiat shouldn’t have a problem convincing diehard fans looking for the ultimate 500. 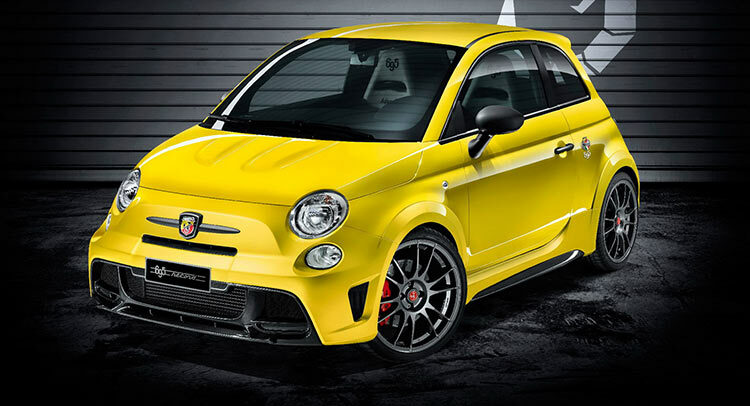 The Record model is based on the two-seat Abarth 695 Biposto using the same 190hp and 250 Nm strong 1.4L turbo mill which has to push around only 997kg (2,198 pounds), resulting in the best-in-category weight-to-power ratio at 5.2 kg/hp and 0-100km/h (62mph) sprint time at 5.9 seconds, with the mini achieving a top speed of 230 km/h (143 mph). In this limited edition Record trim, it’s finished in an exclusive 'Modena Yellow' color with 'Tar Cold Grey' trims and '695 Record' badges, and sports 18-inch OZ alloy wheels, large Brembo brakes and a throatier Akrapovic exhaust. On the inside, there’s a special instrument panel animation, Sabelt carbon shell seats, four point seatbelts, a cargo net and a unique numbered plate. Introducing Abarth Classiche, a long-term project which involves the entire universe of the Scorpion brand. Indeed, the initiative will be composed of several elements, starting with the restoration centre being opened today, 18th November, at the Mirafiori Abarth Workshop in Turin. In the beating heart of the business designed to develop serial and racing models, an area spanning approximately 900 square metres has been set up as a workshop dedicated to restoring customers' historic Abarths. The restoration activities will be carried out with a high level of accuracy and will aim to ensure that any changes faithfully recreate the original conditions of the vehicle. To ensure compliance with the original designs and mechanics, Abarth will rely on a full range of documentation, including technical drawings, which has recently been catalogued and digitalised. This will also prove useful for the purpose of certifying the authenticity of the mechanical parts (engine, gearbox, exhaust and suspension), and when defining the certification procedures, Abarth has called upon on the advice and experience of the ASI (Historical Italian Automotoclub) and FIVA. The launch of the Officine Abarth Classiche is only the beginning of a larger project that envisages the creation of the Abarth Register, designed to bring all the enthusiasts of the brand together with a series of activities ranging from the participations in meetings to vintage car races, managed by the Automobile Club d'Italia, through Aci Storico. The Abarth Classiche project is also online at www.abarthclassiche.com. The face of the initiative is Anneliese Abarth, Carlo's wife, who enthusiastically accepted this role to publicise the long story of the company founded by her husband on 15 November 1949. An important story, marked from its very beginning by a string of successes and a wealth of inventive spirit. 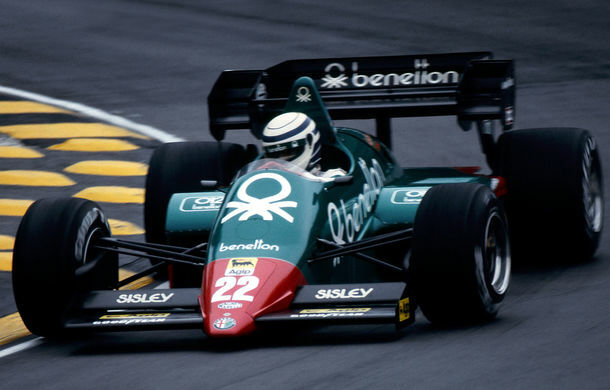 Starting with the victory in the 1100 Sport Italian Championships, with the 204A and in the Formula 2 field, then progressing to the great commercial success of the kits for transforming the Fiat 500 and 600 economy vehicles, which allowed many young and not so young enthusiasts to successfully try their hand at racing using everyday vehicles. Tens of vehicles were developed and built by Abarth between 1949 and 1971, the year in which the company was bought by Fiat, which continued developing its success stories, both in the racing field and commercially, with enhanced utility models such as the Abarth Autobianchi A112. These are all vehicles with a wide fan base in Italy and abroad, owned by an army of enthusiasts who conserve them with extreme dedication. From now on, these models can rediscover their original personality thanks to the Officine Abarth Classiche, where customers will be issued with a file containing all the information relative to the vehicles, lovingly restored to their former glory. The story of the Abarth brand is also told in a work composed of three volumes written by Sergio Seccatore and entitled "Abarth: the Scorpion's tale", created by the Italian Fiat Register. Abarth also tells its story through references to its current models, such as the 695 Biposto Record, manufactured in a limited series of only 133 cars: the same number as that of the records held by the Scorpion's vehicles. Instead, the anniversary of the quarter-mile acceleration record broken on 20 October 1965 was celebrated with the launch of the Abarth 695 Assetto Corse Record on the Mugello racetrack during the Italian Endurance Touring Championships. The full press release is available at "Text" link. La aproape 50 de ani de la lansare, Centoventiquattro renaste sub forma noului roadster Fiat. Noul Fiat 124 Spider aduce omagiu modelului original si reprezinta adaptarea moderna a legendei Spider. Proiectat la Centro Stile Torino, Noul 124 Spider imprumuta indicii ale originalului din 1966, considerat unul dintre cele mai frumoase modele Fiat din toate timpurile, si le reinterpreteaza. Noul 124 Spider are o silueta joasa, atemporala, imbinand profilul de influenta retro cu proportiile echilibrate, argumentate de o capota lunga si de habitaclul compact, amplasat in vecinatatea puntii spate. Modelul intruchipeaza experienta suprema a unui roadster italian, cu un design Made in Italy si imbogatita de emotie, tehnologie si siguranta. Caracteristici precum grila hexagonala superioara, cupolele "Power Dome" de pe capota si blocurile spate orizontale si ascutite sunt totatatea elemente care conduc cu gandul spre Spiderul clasic. Interiorul este orientat asupra soferului, fabricat in intregime din materiale premium soft-touch. Noul roadster este dotat cu tehnologii de siguranta si asistenta, precum faruri adaptive si camera video marsarier, dar si cu un pachet de infotainment consistent cu touchscreen de 7 inchi, conectivitate Bluetooth, sistem Keyless Enter’n Go si sistem audio premium Bose cu noua difuzoare. 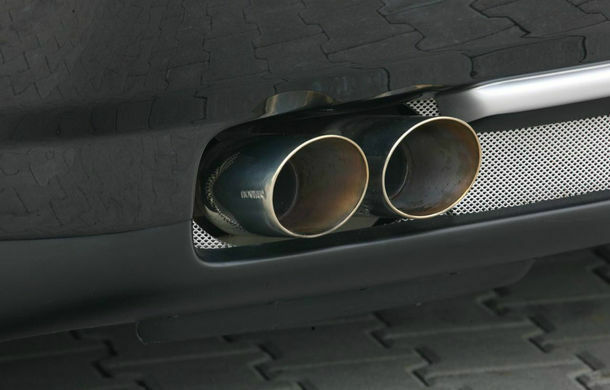 In Europa, Noul 124 Spider va fi oferit cu motorizarea MultiAir Turbo de 1.4 litri/140 CP si 240 Nm, cuplat la o transmisie manuala in sase trepte. Aceasta motorizare va propulsa pentru prima oara un autoturism cu tractiune spate. Fiat 124 Spider va ajunge in Europa in vara anului 2016 si va fi disponibil in doua niveluri de echipare, 124 Spider si Lusso. Exterioarele vor putea fi personalizate intr-una dintre cele 8 culori din paleta: Rosso Passione, Bianco Gelato, Nero Vesuvio, Grigio Argento, Grigio Moda, Bronzo magnetico, Azzurro Italia si tri-strat Bianco Ghiaccio. Restaurare in Romania pentru o Lancia Integrale Evoluzione 2 ?!?!?! O domnisoara a postat pe pagina noastra https://www.facebook.com/clublanciaro si in grupul aferent https://www.facebook.com/groups/194803840713034/ , idem pe forum , un mesaj din partea logodnicului, care, in Romania, cauta un specialist pentru a restaura un exemplar de Lancia Integrale Evoluzione 2 ! I just want to say hi and introduce myself. I recently moved to Ploiesti, Romania (this is my girfriends fb account). My Lancia was transported to Ploiesti a few months ago and is waiting for restoration, any contacts for work on the car would be most appreciated. She is my baby, I've had a long love affair with Lancia. Hope to meet new like minded friends- heres the car! The L plate is when I bought it. I took her off the road about 5 years ago when I moved house and my blew the engine. It was sitting in a friends yard and slowly deteriorated. Its now needing brought back to life! 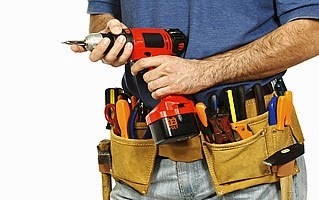 The red one is my old 8v. Had it for 9 years before selling, this had to be done to keep the numberplate D2LTA. Stiti pe cineva, care ii poate ajuta ? Multumim frumos ! Nasce Ypsilon Owners United: entra a far parte della nuova piattaforma Lancia e vinci premi unici con partner d’eccellenza. Abbonamenti alle palestre Virgin, coupon Eataly e tanti altri imperdibili vantaggi ti aspettano! 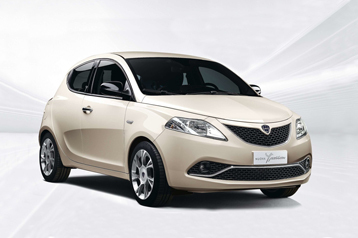 Nuova Ypsilon ti aspetta in concessionaria sabato14 e domenica 15 novembre: vieni ad ammirare ogni suo prezioso dettaglio.Inoltre, grazie alla speciale formula Value Free, potrai averla a 9.500€, con 5 porte e clima. Solo fino al 30 novembre! La nuova Ypsilon ci porta alla scoperta dello stile della femminilità contemporanea più inattesa con la web serie Ypsilon Portrays: otto video-ritratti di donne e uomini autentici, che non hanno avuto paura di cambiare restando fedeli al loro stile unico e irripetibile, proprio come Lancia Ypsilon. Lancia è stata protagonista ad Artissima con Ypsilon St’art, il progetto che ha offerto al pubblico un nuovo modo per scoprire la fiera d’arte contemporanea più importante dell’anno. Scopri i contenuti raccolti nei giorni dell’evento e parti insieme a Ypsilon per un viaggio esclusivo tra opere, artisti e gallerie.